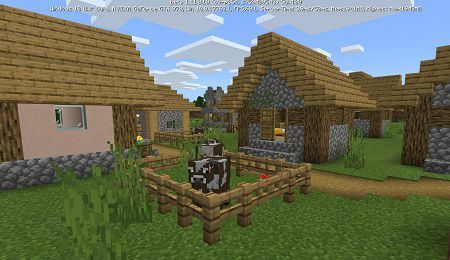 Please note, that in the update of Minecraft Pocket Edition 1.11 for Android, Windows 10 and Xbox One, the developers of the mobile version of Minecraft improved the intellectual features of all the inhabitants of the village. The villagers and their children have become more intellectually developed, and you can notice it by their new behavior. For example, now when there is twilight, the kids will hide in the house. Adult villagers can continue to be outside their home. Also, now intellectual features influence on the trade. Villagers can now get a job. There are several types of activities that villagers can do. Depending on what the villagers do, they will have an individual assortment of goods that you can purchase. In addition, the developers have improved the trading economy of the game. They have added to the trading system the experience that you will receive from the orders. Also in the game Minecraft Pocket Edition, there is a system of discounts. You can get discounts when you have the effect of the “Hero of the village”. To get the effect of the “hero of the Village” you need to finish the foray (raid!). About how to start or activate a raid in the world of Minecraft — read further on this page! On this page, we have collected the necessary information that will allow you to study in more detail the main innovations in Minecraft PE 1.11.0 for Android. On our site, you can also download the game client Minecraft PE 1.11 for free! Happy reading, and if you like our site, then share it with your friends! — The leader of the patrol can be a pillager, a champion or a summoner who wears a flag on his head. — Appears in the patrol of pillagers, raids and near the outpost of the robbers. The developers are engaged in updating the intelligence of the villagers. 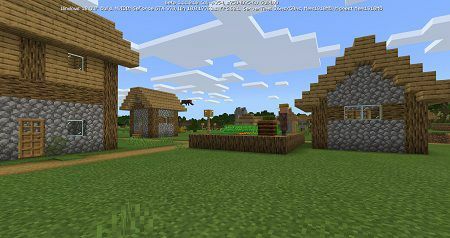 Now with the version of Minecraft PE 1.11.0, villagers will be intellectually developed. You can see this in their behavior. During the raids, they will hide in their buildings, and the children will go to bed as soon as in the Minecraft world begins to get dark! And now, what about the update of the trade in the world of Minecraft Pocket Edition! Also, the developers have updated the economy of commerce. Now trading in Minecraft Pocket Edition 1.11.0 for Android and other gaming devices looks more logical. A price monitoring system was added to the game, which will change the price of the product depending on the level of demand for the product. Below you can get acquainted with the features of the new trading system in Minecraft! — The stock of goods is restored only when a villager works at his workplace. — This feature is not yet complete, but you can replenish stocks of residents with the help of command /resupply. — The price of goods increases by the amount of used stock and decreases by the amount of unused stock. — The villagers get experience when making a deal. When receiving a sufficient amount of experience, their level rises, allowing them to open new deals that were previously unavailable. The game has been added new effects that are associated with raids in Minecraft Pocket Edition. Very often, foray is called raids - in any case, the interpretation of 'raid' and 'foray' will be correct! Each effect has its own peculiarity! — “Stigma of misfortune” — activates the raid (foray) in the game! 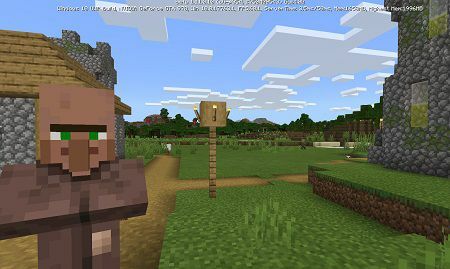 — “Hero of the village” — allows villagers to make discounts for the player. 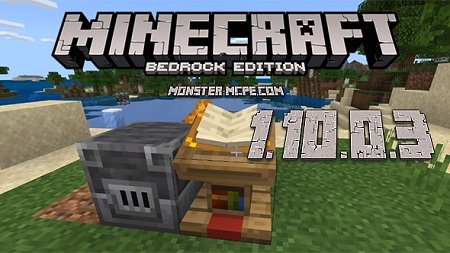 This is a new feature of the mobile version of Minecraft Bedrock Edition 1.11.0 for Android. Forays are the same raids that you can activate in the MCPE world by killing the patrol leader. You can find the leader of a patrol near the outpost or in the outpost itself. Outposts are usually generated near the village. Therefore, if you found a village, bear in mind that nearby you can find an outpost where you will meet the robbers and the leader of the patrol. — It starts when a player enters the village with the “stigma of misfortune” effect. — During the raid, pillagers, champions, summoners, witches, and destroyers may appear. — Destroyers appear on the second wave, witches — on the fourth, summoners — on the tenth. — The raid progress scale shrinks when killing brigands. — Looks like a red boss bar with the “Raid” caption at the top. — When the scale comes to an end, the remaining mobs begin to appear. — Consist of several waves on a single effect “stigma of misfortune”. — To start the next wave you need to complete the previous one. — Rogues and destroyers do not kill the children of the villagers. Here is actually some information about the pillagers that you can now meet in the world of Minecraft while walking! — Appears as a group of 2-5 random inhabitants. — One of the inhabitants is the leader of the patrol.